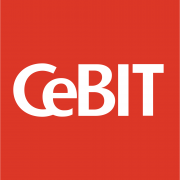 We are very excited to officially launch HARMONiQ Business Tuning Software at CeBIT Australia 2015. The launch event will take place at 12.00pm on May 6th 2015 at the HARMONiQ booth (O26), at the CeBIT Expo,Sydney Olympic Park… and you’re invited! We expect HARMONiQ to have a significant impact on Australia and New Zealand’s business management landscape. “No doubt, there is some great software in the market – but they come with a big price tag which simply isn’t realistic for the majority of businesses. Instead, most small to medium businesses have to make do with piecemeal solutions that are either too simple to actually deliver value, too inflexible to meet requirements, or too outdated to be relevant. We are going to change that.” said Drew Arthur, Managing Director of Micronet Systems. In line with Drew’s promise, HARMONiQ incorporates all key business functions (accounting, sales, marketing, CRM, inventory, BI and business management) to provide seamlessly integrated, whole-of-business visibility and control to its users. Not only that, users will enjoy one of the fastest implementation times in the industry! Following initial implementations, businesses using HARMONiQ are no longer wasting time trying to capture, compile, and analyse reams of data. Instead, HARMONiQ alerts the right user with the right insight at the right time, allowing them to ‘tune’ their business for continued growth and success. The software also represents an exciting opportunity for Accountants and Software Implementers to boost the outcomes they deliver to their clients by joining the HARMONiQ Channel Partner programme. Customisable to its very core, HARMONiQ allows such businesses to incorporate their own intellectual property and development services to maximise the value they offer their clients. “In this short period, HARMONiQ has attracted five new clients to our practice, some also switching to us for their accounting needs. One of our existing clients also upgraded their business management to HARMONiQ, increasing their spend with us for the new solution,” said Jeff Prestidge of Brian E. Prestidge & Associates. Win a Formula Ford driving experience and to experience for yourself what superior tuning really feels like! If you still need a ticket to the CeBIT expo, we’ve extended our offer of complimentary tickets. Click here to register and use the code micr7n to access your pass.